There is a section of 1970s American film that is variously imbued with a sense of paranoia, unease and surveillance which reflects the domestic turbulence of the background in which they were made. Amongst others, of particular note along these lines could be included the films The Anderson Tapes (1971), Three Days of the Condor (1975), The Parallax View (1974) and The Conversation (1975). 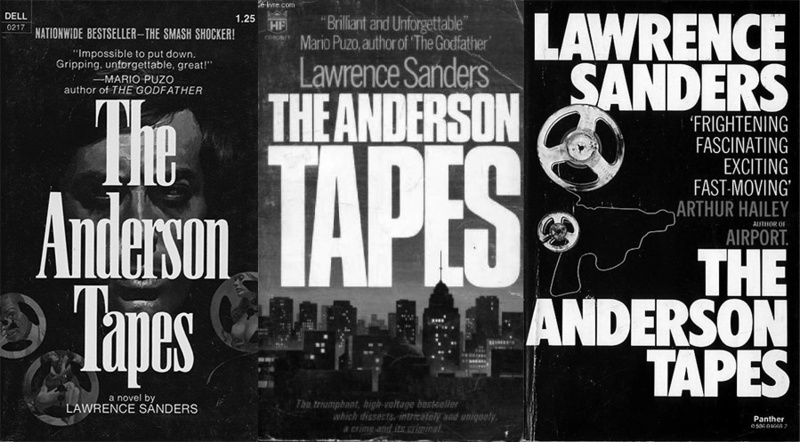 The Anderson Tapes is based on a 1970 book by Lawrence Sanders, which was written in an unusual style, being made up of surveillance, police reports etc rather than being written in a conventional manner. The film adaptation by Sidney Lumet is narratively fairly conventional and depicts the planning and carrying out of a burgarly of on entire upscale New York apartment building by a gang of ex-convicts, who are unaware that from the start they are under surveillance by various agencies and individuals, including government taxation investigation and law enforcement agencies and a private detective. Re-examining the plot again, what in part it reveals is a form of intensive, multi-layered and almost total surveillance, which mirrors and forebears elements of contemporary society and technology. However, possibly due to way that in a pre-digital age there was a lack of ease in which information could be exchanged and pooled, all of these groups and individuals are working separately and are unable to “connect the dots” and anticipate the robbery. Despite this, In keeping with much of 1970s cinema, the film does not have a happy, wander off into the sunset ending for the gang of robbers, who are in part foiled by an amateur radio enthusiast in the building who manages to alert fellow radio enthusiasts to what is happening, in a manner that suggests both plucky publicly spirited resourcefulness and also seems to suggest and possibly even anticipate forms of technological submission, use, reliance, snitchery and self-surveillance. The Anderson Tapes also could be seen as dry-run or earlier experiment in some of its themes and atmospheres of conspiracy, paranoia and new uses of technology that would be later explored in Network, which Sidney Lumet directed in 1976. 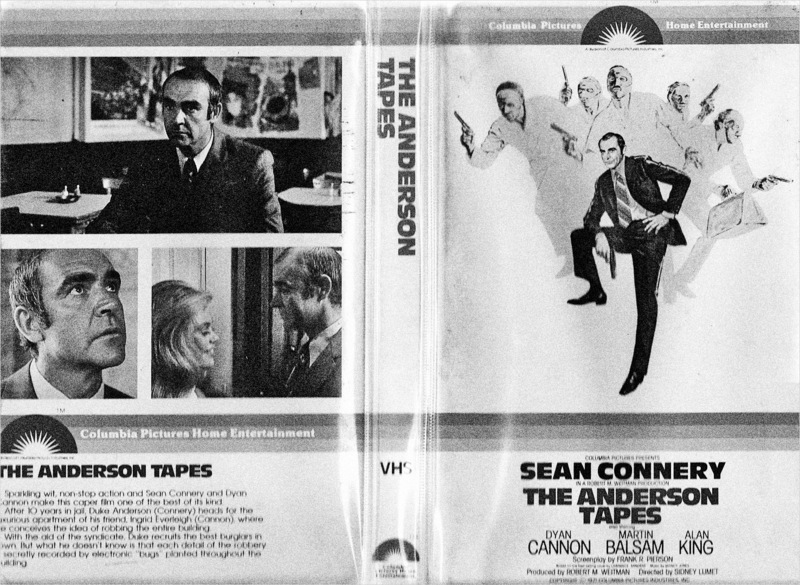 Accompanying The Anderson Tapes is a soundtrack by Quincy Jones, which features striking, jarring, synthesized stabs of music and noise which both reflect the use and introduction of new technological surveillance techniques and equipment and also are an intriguing contrast with this otherwise in some ways quite traditionally presented film. In 2017 The Anderson Tapes had a reissue on limited edition Blu-ray by Powerhouse/Indicator, whose release catalogue is shaping up rather well. Their releases generally have a high level of attention to detail and extensive accompanying booklets and extras, which often, as in the case of The Anderson Tapes, appear to give or return a certain level of respect and appreciation for sometimes slightly overlooked or underrated examples of cinema.